LED walls are brighter, more economical, more flexible and also more reliable than projectors. 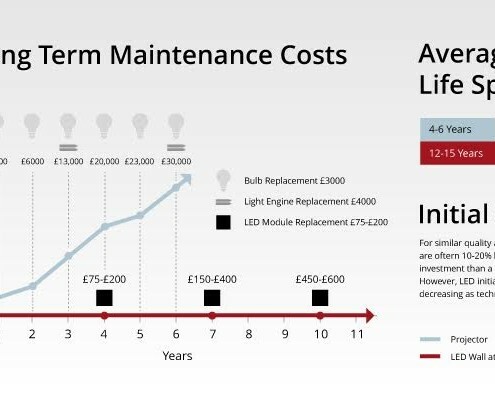 Even if something does happen to go wrong with an LED wall it will only involve changing one modular component where projectors will almost certainly involve a costly repair. 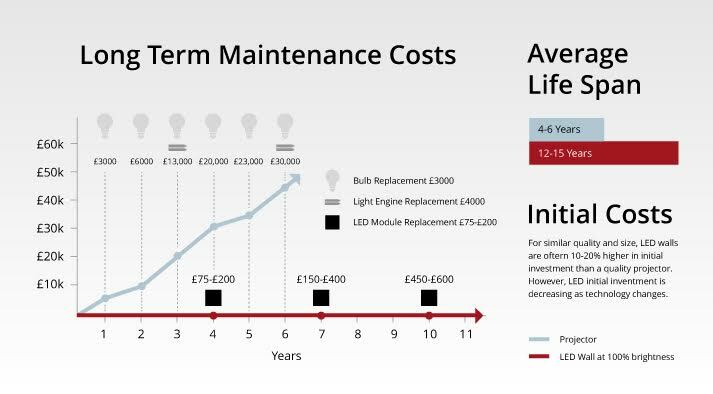 Most LED walls require 50% of the power used to run a projector meaning savings will also be made on electric bills.